After a year of research and development Orphek is about to launch its newest fixture setting a new benchmark in LED lighting systems. The introduction of the Atlantik V2 Wireless will bring an upgrade in Orphek’s Atlantik operational systems allowing customers to control the light by Android tablet or Android Smartphone. But that is not the major improvement! 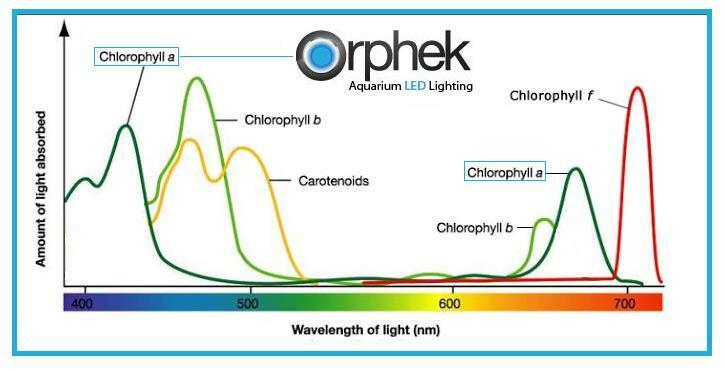 Orphek has already settled the standard in the market for its advanced comprehension of color spectrums and its influences on coral physiology and once again is about to release another cutting-edge and groundbreaking technology, bringing a revolutionary change in the spectrum provided by diodes, by providing a real product developed specifically for the needs of photosynthetic marine invertebrates. By being in constant contact with researches and specialists around the globe Orphek Development Team gathered enough studies and information about chlorophyll density in corals and its relationship and influence on color and coral growth. Truth is that corals cannot survive without chlorophyll A and they depend on it to receive the necessary nutrients to grow. 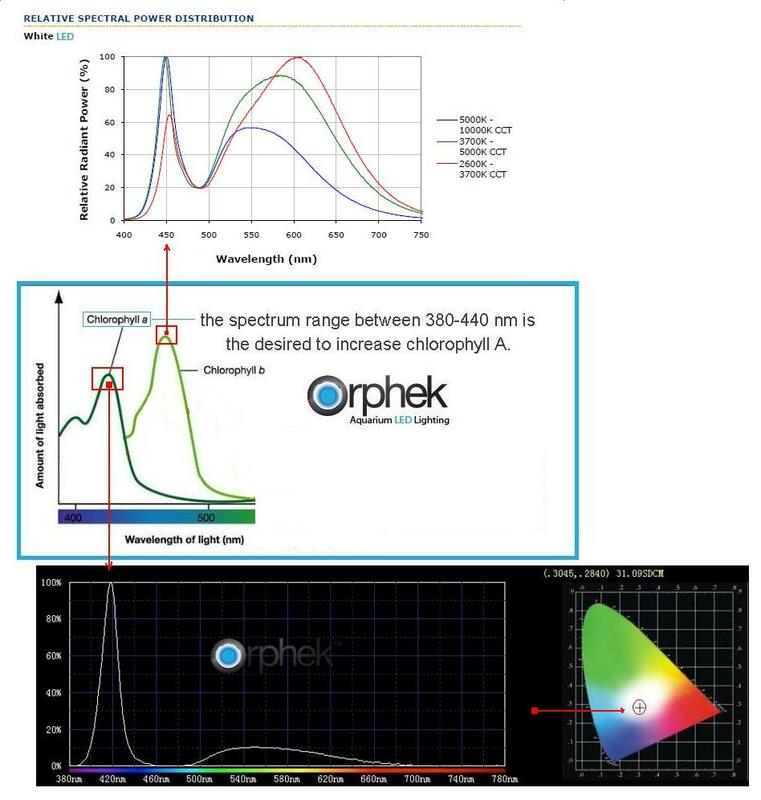 Crossing the data of biophysical properties X absorption of light X photosynthetic capacity X increasing of chlorophyll A levels Orphek found the perfect light spectrum to enhance the photosynthesizing pigments. Determining how corals reflect and absorb light in different wavelengths it is possible also to examine and determine which optimal range is required to increase levels and therefore help corals to increase biomass and pigmentation, avoiding coral bleaching. 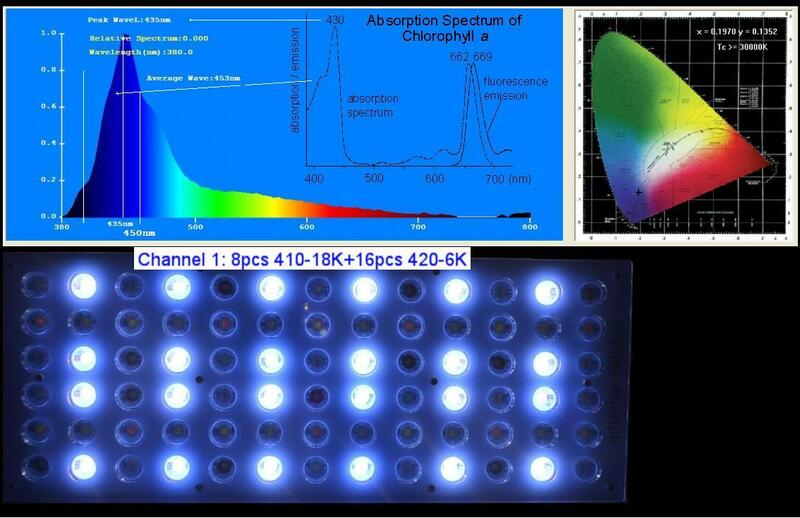 As shown in the chart above the spectrum range between 380-440 nm is the desired to increase chlorophyll A.
Orphek’s major goal was to increase the lumens per watt in the lower spectrum range 380-440 nm. The problem with common UV/violet diodes is that they provide only approximately 0.5 to 4 lumens per watt, which appears darker to the human eye’s receptors. 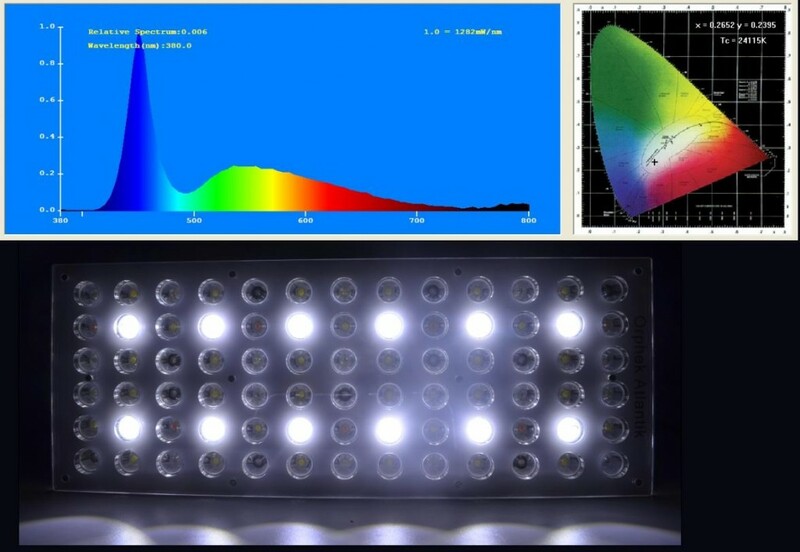 To overcome this problem of low Lm/w Orphek developed a new wide spectrum white UV/violet LED within the high intensity at 410 nm and 420nm wavelength ranges with higher lumens per watt. It means that Orphek is the only company that can provide you a cutting-edge solution that uses 42 UV/violet LEDs, (never achieved before by any other company) without leaving your tank in the dark! This is a major cutting-edge improvement and our contribution to the evolution of the hobby. By using 42 UV/violet LEDs we are increasing the amount of chlorophyll A therefore your corals will expand in biomass and will receive more pigmentation (growth & color). 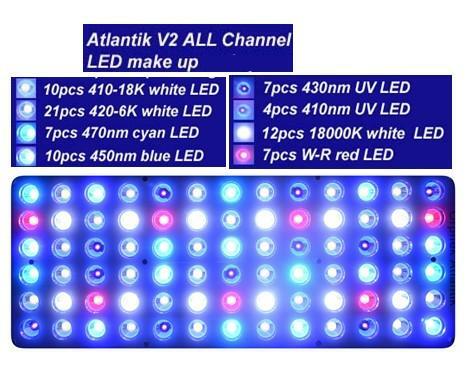 Another revolutionary improvement never achieved before is that our new Atlantik V2 Wireless fixture also comes with our wide blue and wide red LEDs. 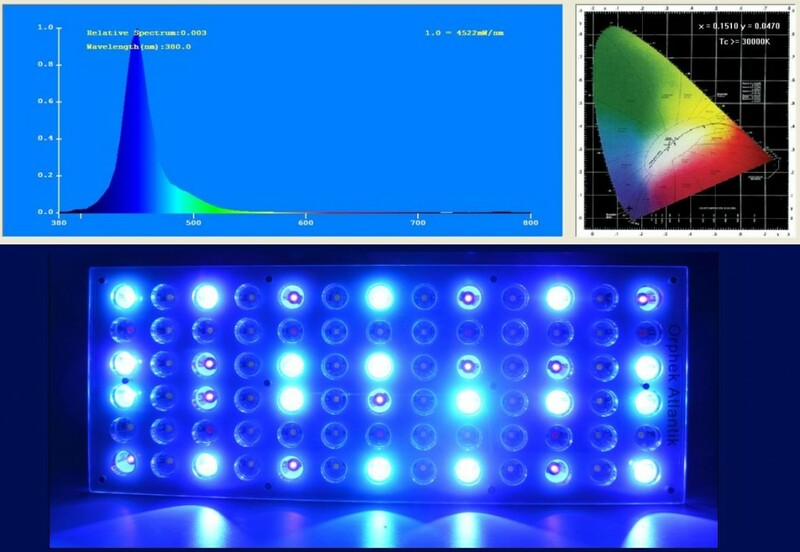 Our new blue/cyan LED increases the intensity within the 470nm-520nm spectrum, so your corals will also gain much more fluorescence! Our diodes also help corals to reach high levels of chlorophyll c2 and carotenoid pigments, giving corals vivid colors by increasing its optical absorption properties and reducing the risk of bleaching significantly! Atlantik V2 provides 15 different combinations allowing full color control and dimming from 0 to 100% of light intensity on each channel. Check here at first hand what each channel provides! Tuned to increase levels of chlorophyll A in corals. fluorescence enhancement and lowering the risk of bleaching. 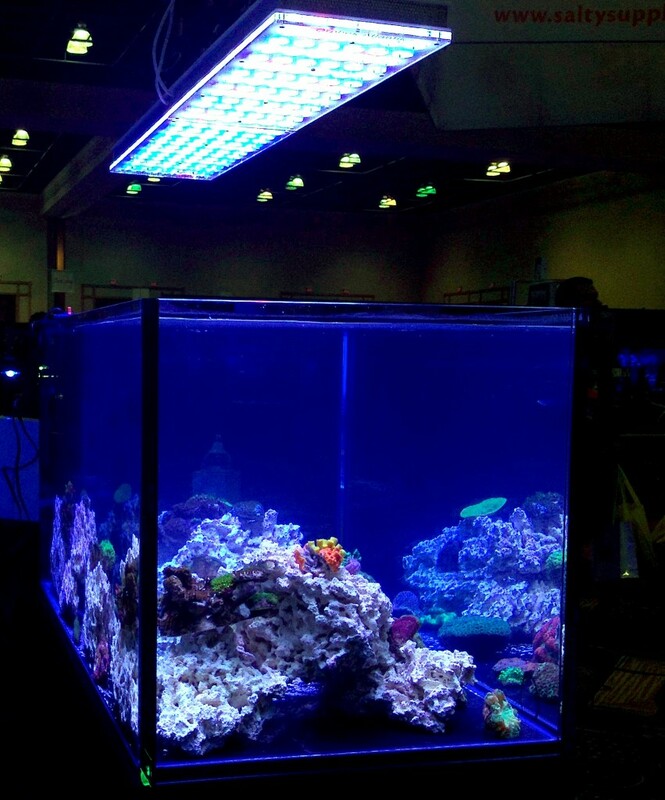 This Channel is also excellent to increase the general lighting of the tank due to high lumens of the white LEDs. 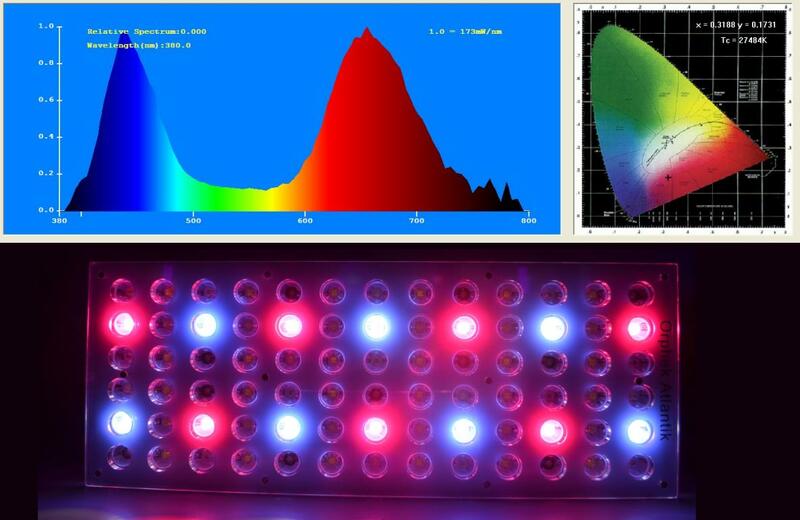 (Orphek white LEDs at high Kelvin provide better PUR than any lower Kelvin white LED). It provides full spectrum 380nm to 750nm to highly increase levels of Chlorophyll A, B, C, F and caratenoids. an example of mix channels to provide an ideal spectrum. Information about upgrading to wireless operation system of older versions please kindly contact us. Please contact contact@orphek.com and one of our consultants will be glad to be at your assistance. Our future articles will bring more information about this newest Orphek launch.